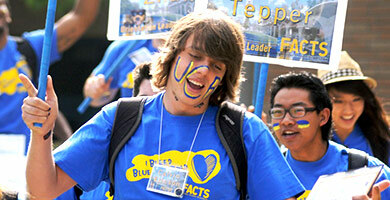 The goal of Student Life is to provide our student family with the total UCR experience. That means supporting student opportunities for learning, involvement, leadership, community building, and creative expressions that go way beyond the classroom. Get involved, join a student org, attend a concert, and see what Student Life has to offer! 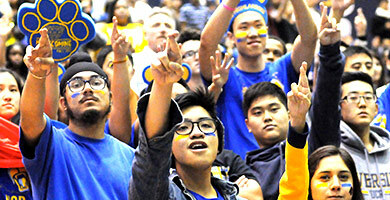 Get to know UCR's 40 fraternities and sororities, and various councils. 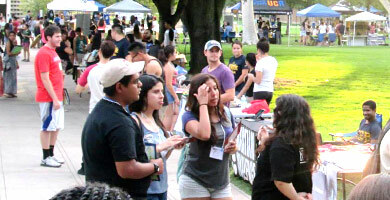 Helping new and transfer students transition to UCR and prepare for academic excellence. Mentors help first-year students with their transition and help them feel at home. 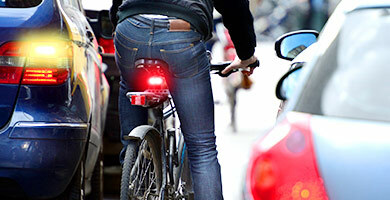 Learn how to meet people, join a carpool, register your bike, and get involved on campus. Discover a support network for starting/running a student organization. Who is our mascot, how did we get the Bell Tower and why are we called the Highlanders?